Sig Sauer and Hogue Knives have teamed up to bring you some exciting variations on some of Hogue's most popular knives. Sig Sauer is a world renowned firearms manufacturer who supplies premier weapons to military, law enforcement, and commercial users around the globe. 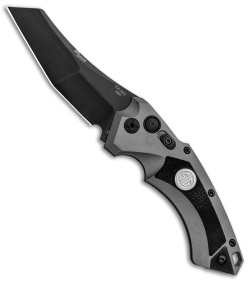 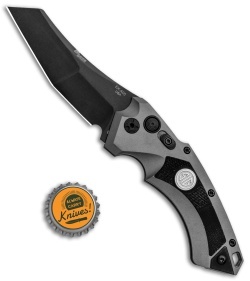 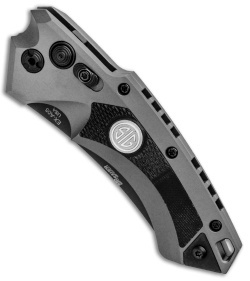 This X-A05 model is outfitted with a 3.5" black wharncliffe blade and a gray anodized aluminum handle with a Sig Sauer logo inlay. CPM-154 steel blade has been hand sharpened and honed for an extremely sharp and durable cutting edge. 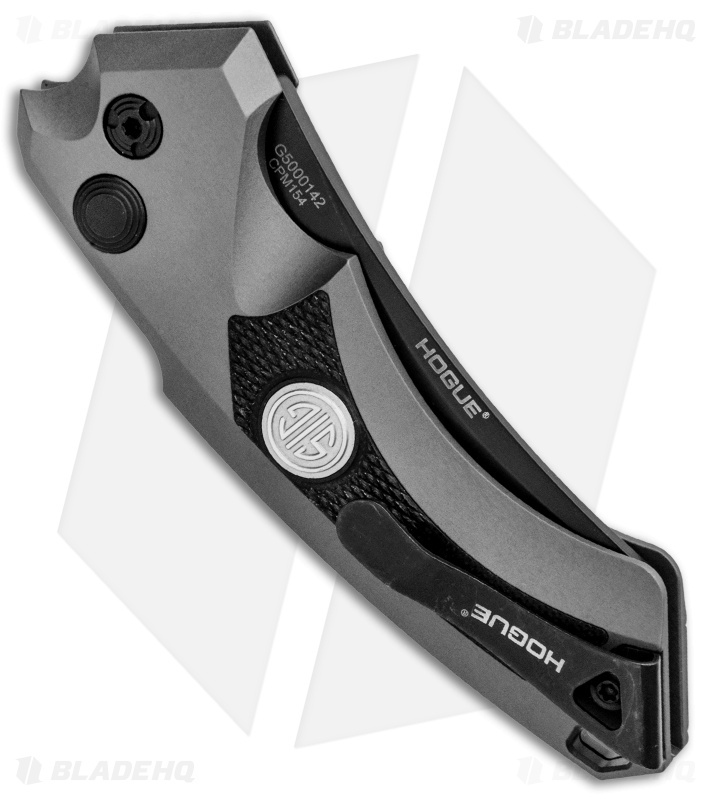 6061-T6 aircraft aluminum handle has a hard anodized finish and finger contouring for a secure, ergonomic grip.